PayPal is one of the most popular online payment processors, also known as alternative payment method (APM) or eWallet. Since it is widely used as a payment method while making purchases online, a number of online gaming sites accept PayPal as a payment option; however, PayPal has a very strict gambling policy and players will not always find it easy to use it to fund their online gaming accounts. PayPal has a global presence and is widely accepted as a way to make quick, secure and anonymous payments online. The online payment processing service is highly reputed and secure; besides, the fees charged are quite affordable and players can make transactions in several currencies. Signing up at PayPal is free of charge although filling in the online registration form can be quite tedious. 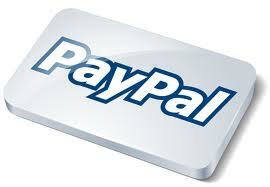 The PayPal account so created can be used to send and receive money to and from several countries all over the world. Customers can fund their PayPal accounts using a wide range of payment methods, including credit/debit cards. The good news for those who like using PayPal is that a wide range of online gambling sites accept payments through PayPal. All players need to do is register a PayPal account and then register a real play account at an online gaming site that supports PayPal. The next step is to login to their online gaming account, visit the Cashier or Banking section and choose PayPal as a payment method. Once players do this, they will be taken to the PayPal page, where they can login to their PayPal accounts and move funds from their PayPal accounts to their online gaming accounts. Players can also use a roundabout way to use PayPal to fund their online gambling accounts. First, they must register an account at a company that provides VISA prepaid cards, which they will find to be quite affordable. Second, they can transfer funds from PayPal to their Visa prepaid card, absolutely free. Third, they can use the VISA prepaid card to fund their online gambling account. PayPal has a strict gambling policy, which is why players from countries that are definitely against online gambling will find it impossible to use PayPal to fund their online gambling accounts. Accordingly, PayPal does not permit transactions related to gambling activities by PayPal account holders and merchants in countries such as the US where online gambling is considered to be illegal. One might then wonder how certain online gambling sites accept payments through PayPal. This is because PayPal only permits approved gambling site operators to use its services in places where online gambling is legalized and regulated. If gambling operators want PayPal’s approval, they need to prove to PayPal that they have the required software to prevent US players and players from countries where gambling is definitely illegal from accessing their online gambling services. Gambling customers using PayPal will not be able to move funds into online gambling sites run by operators PayPal has not approved.